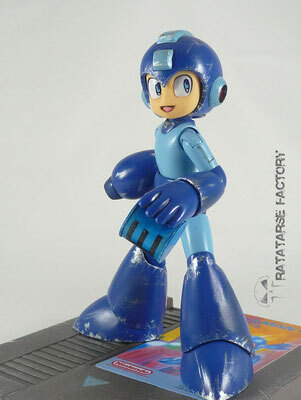 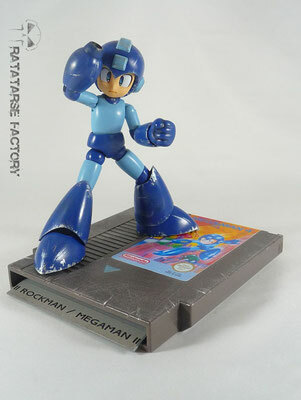 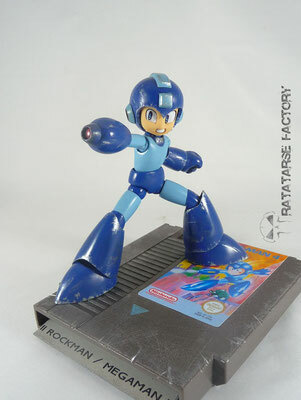 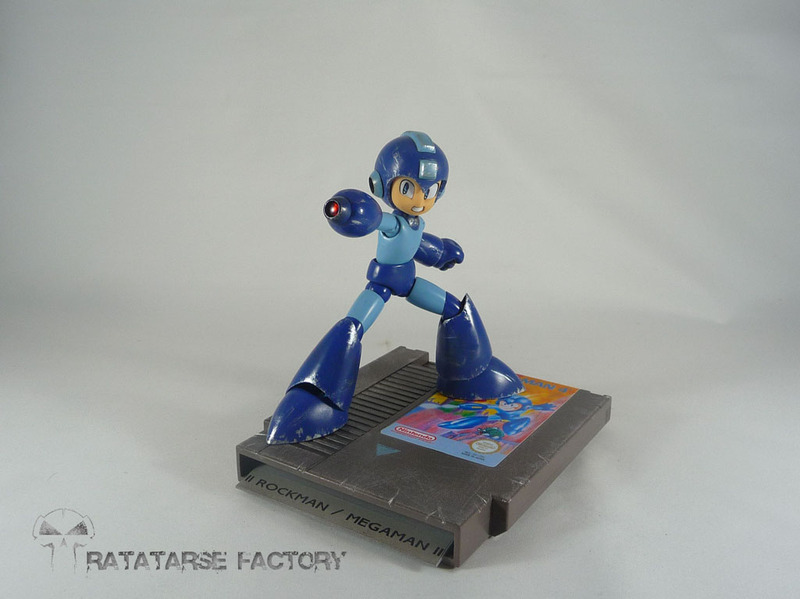 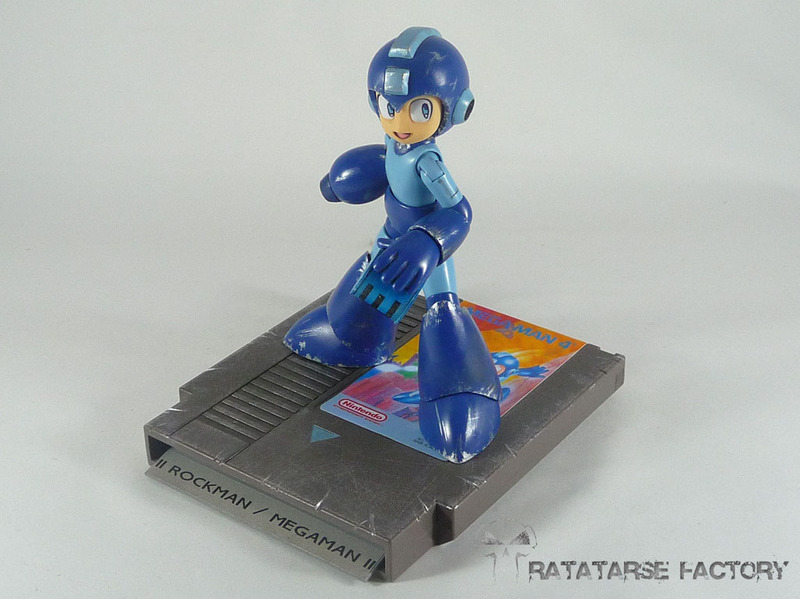 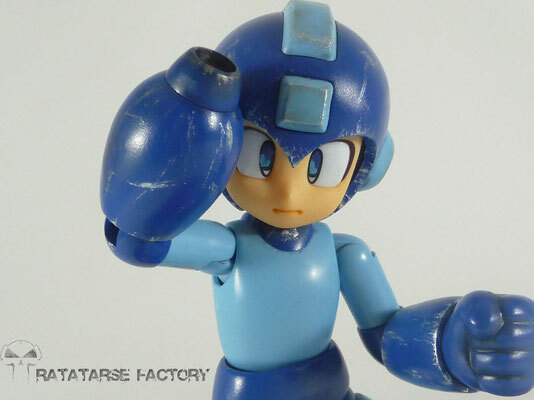 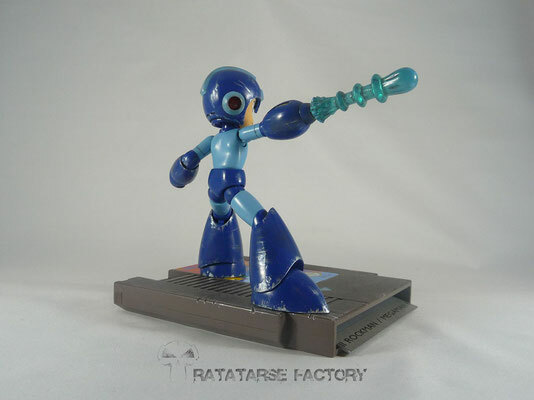 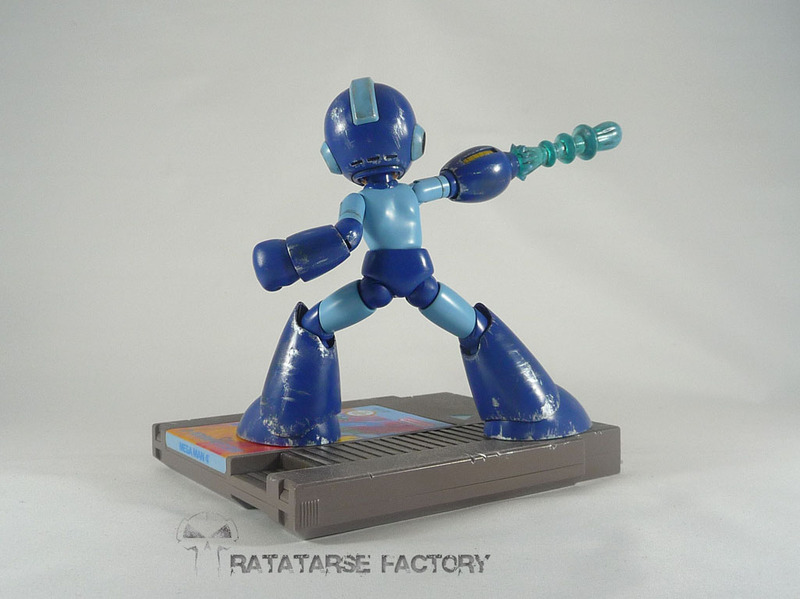 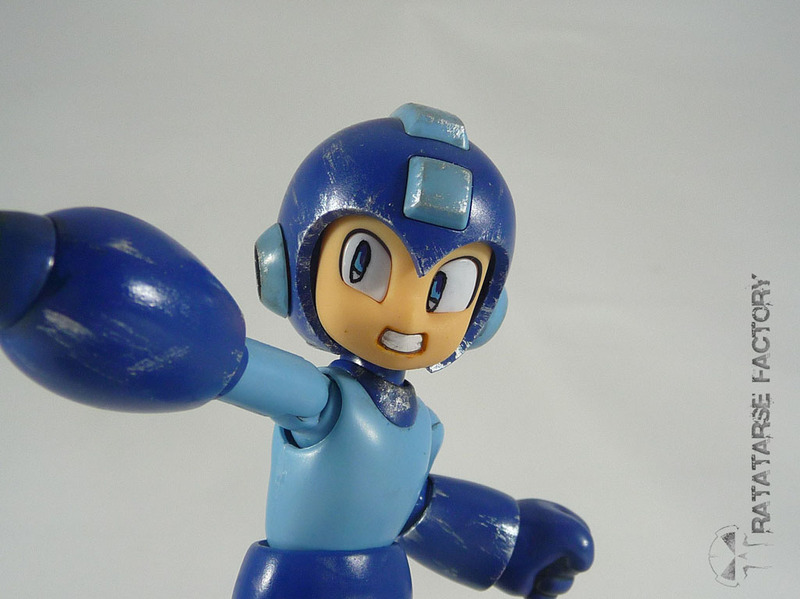 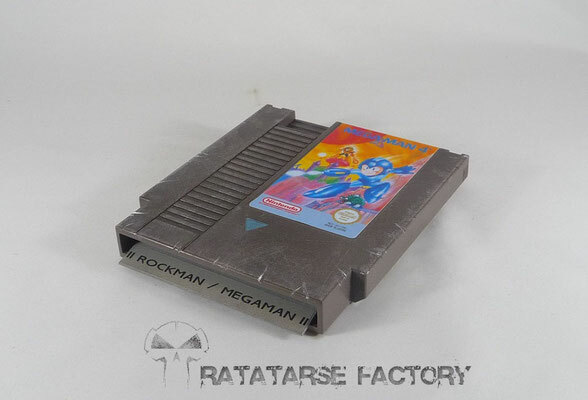 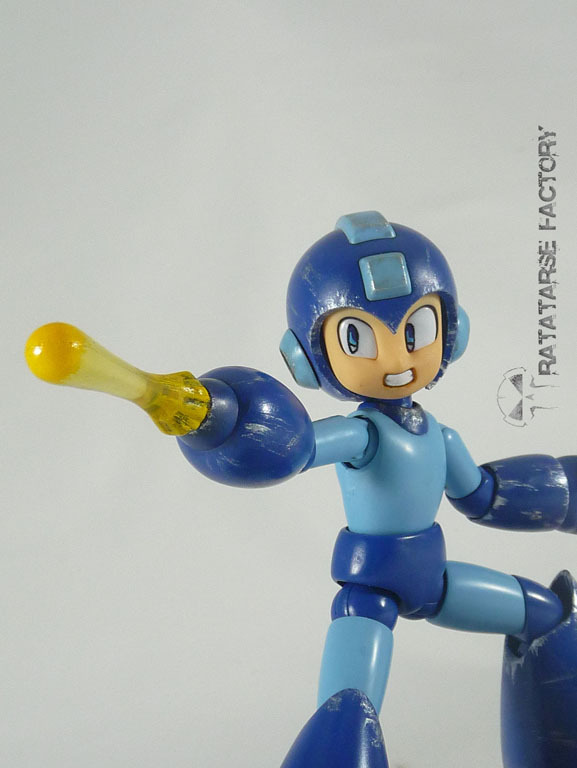 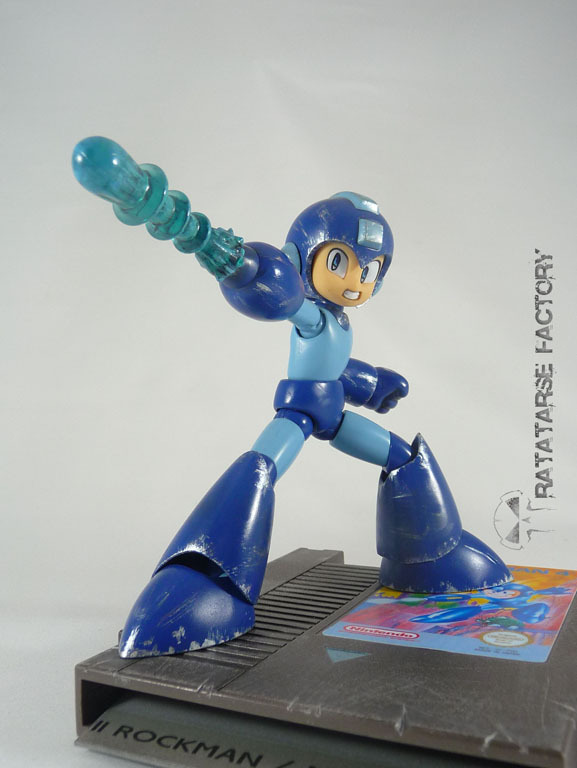 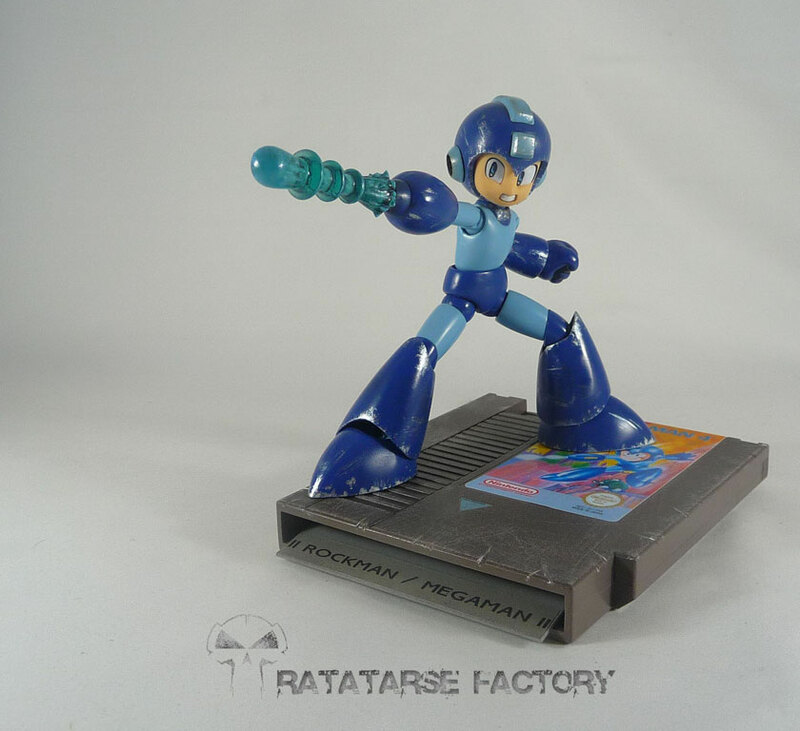 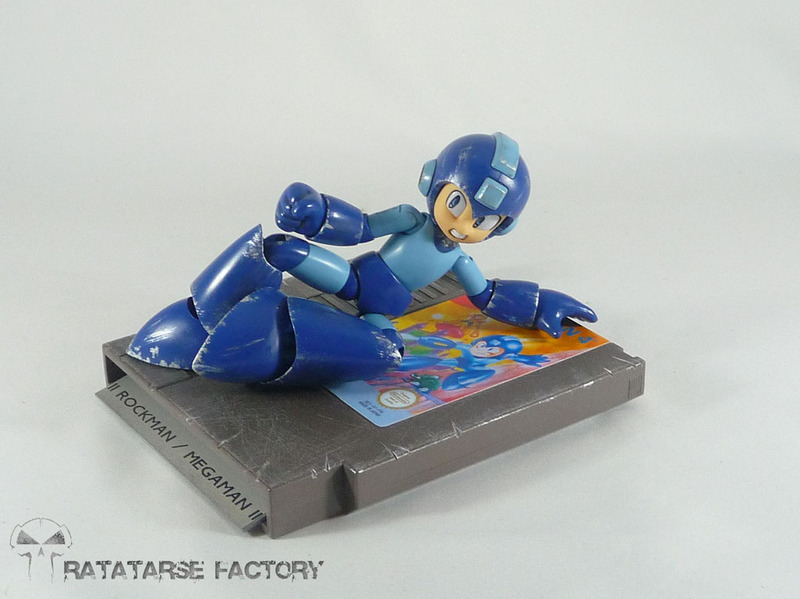 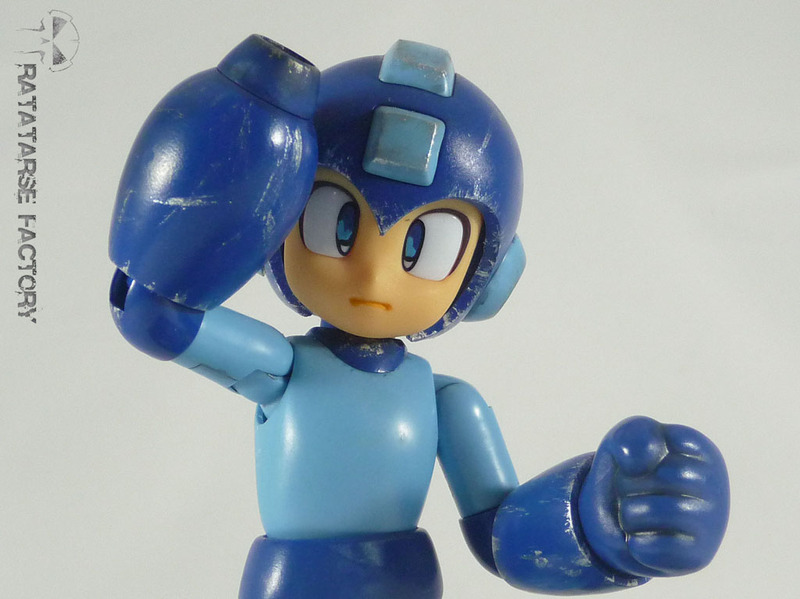 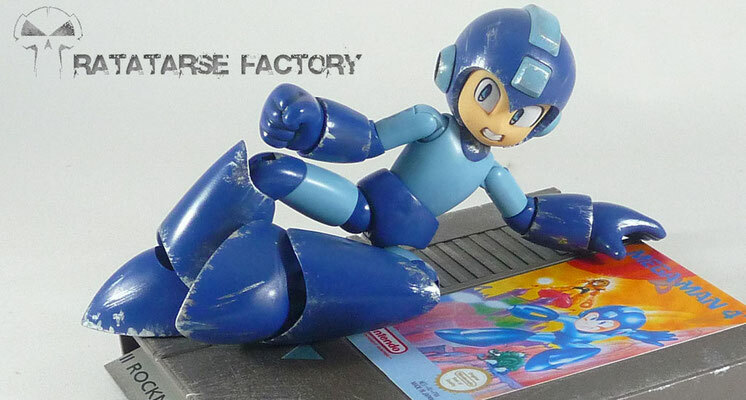 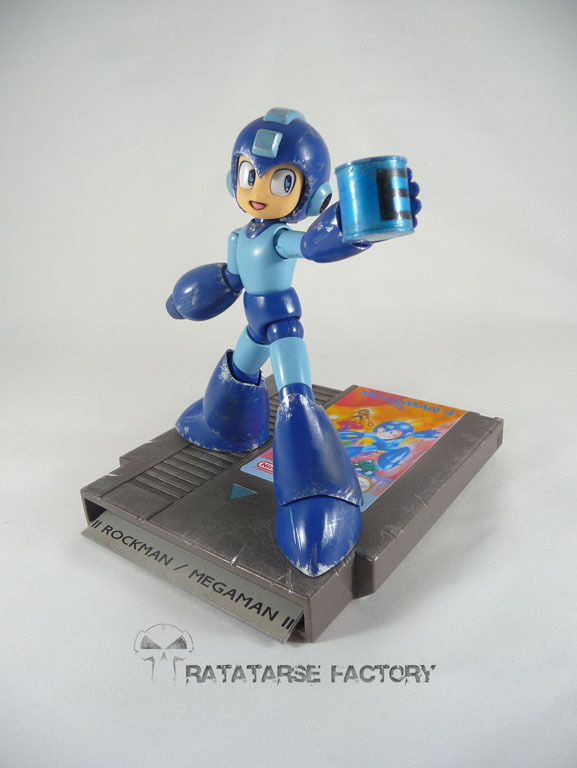 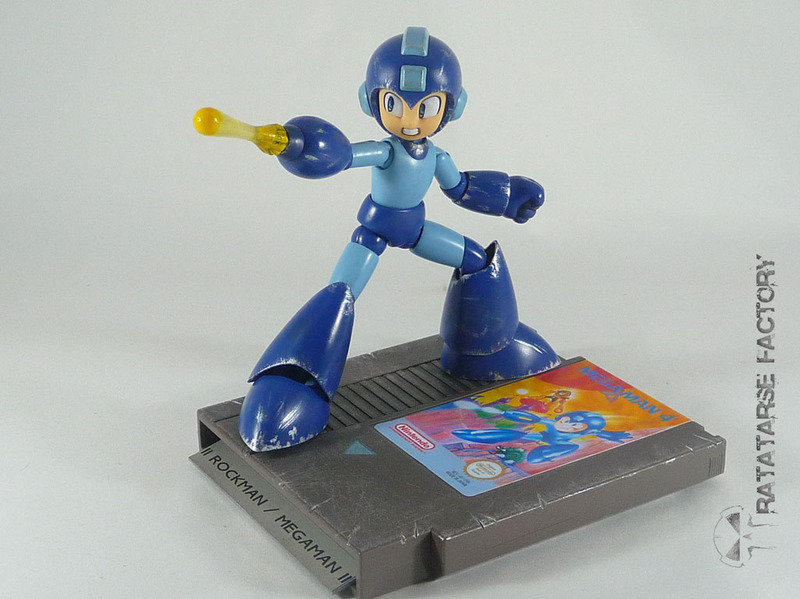 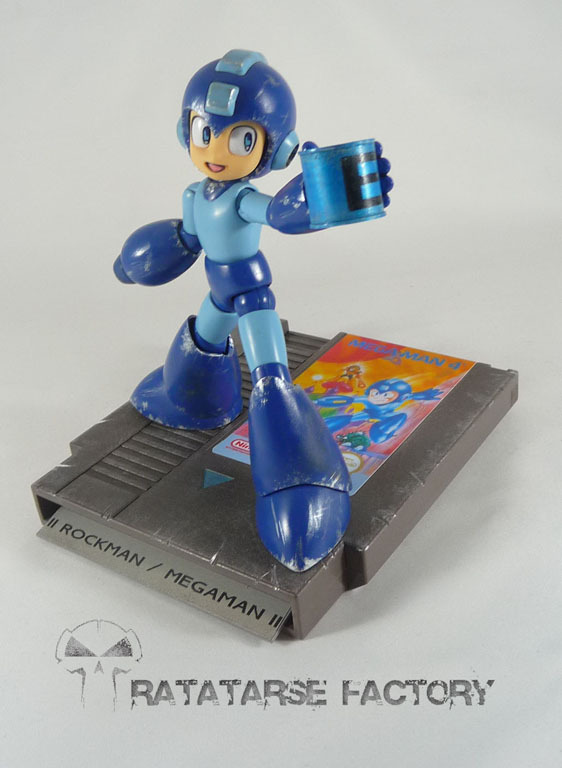 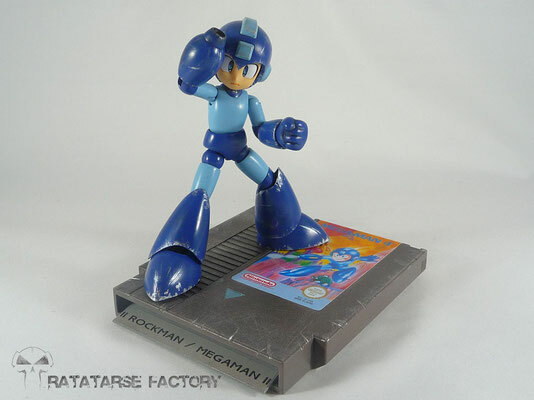 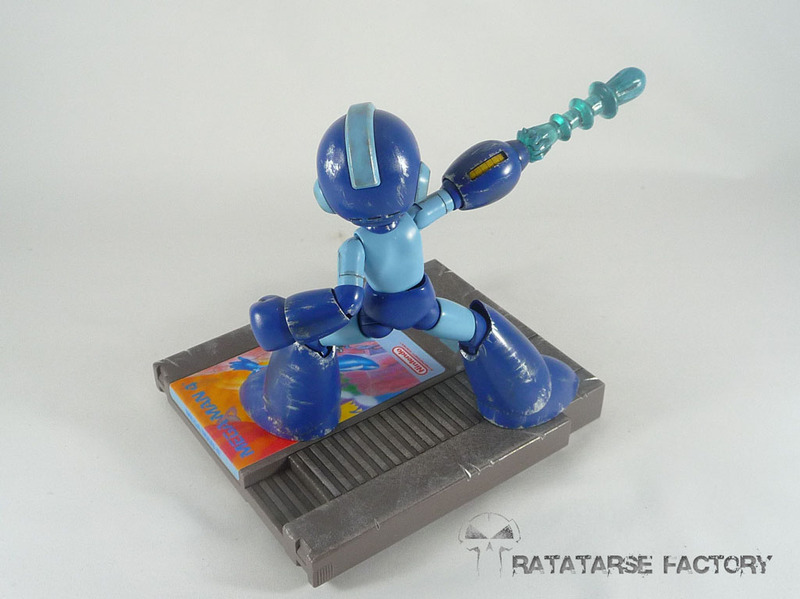 A classic videogame that is 30 this year, Megaman (or Rockman in Japan) is a cool videogame franchise throughout years. The tiny kit from Kotobukiya is still fully posable, fully handbrushed with acrylics. 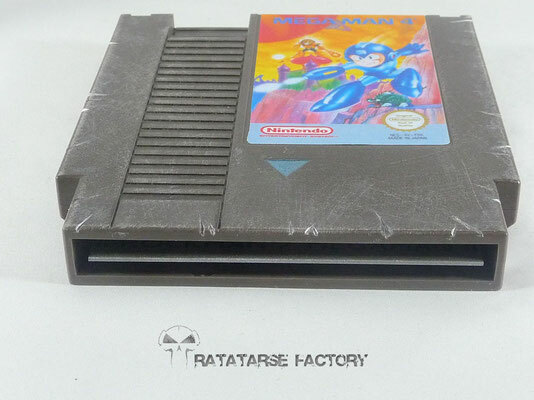 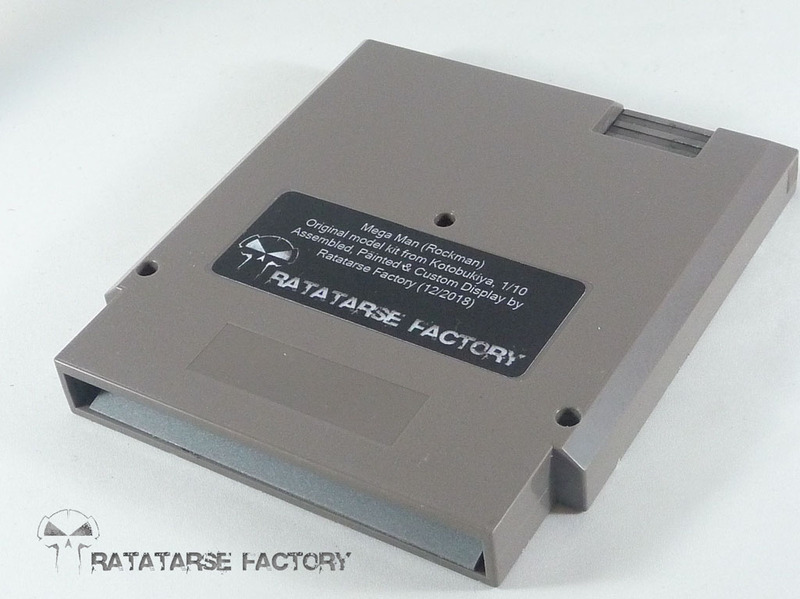 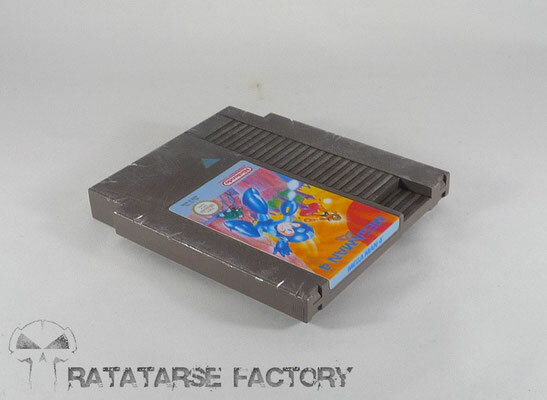 Custom display base with a NES cartridge with rRetractable silver nameplate, as I've done on the other cartridge base, which looks like the printed circuit of the game card when in stored position. 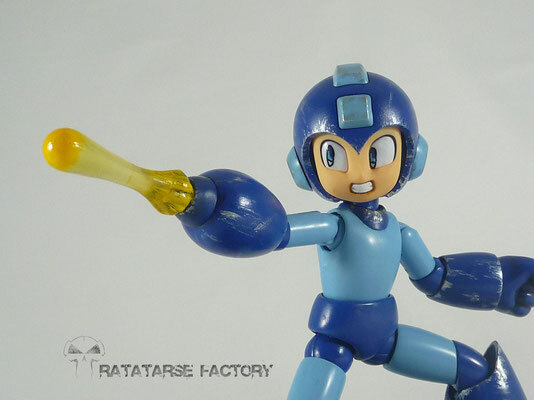 First time I paint clear parts partially to make better effect, and I think it's worth it.